National Student Esports (NSE) - a new UK body which aims to support the development of the university esports landscape - has emerged. 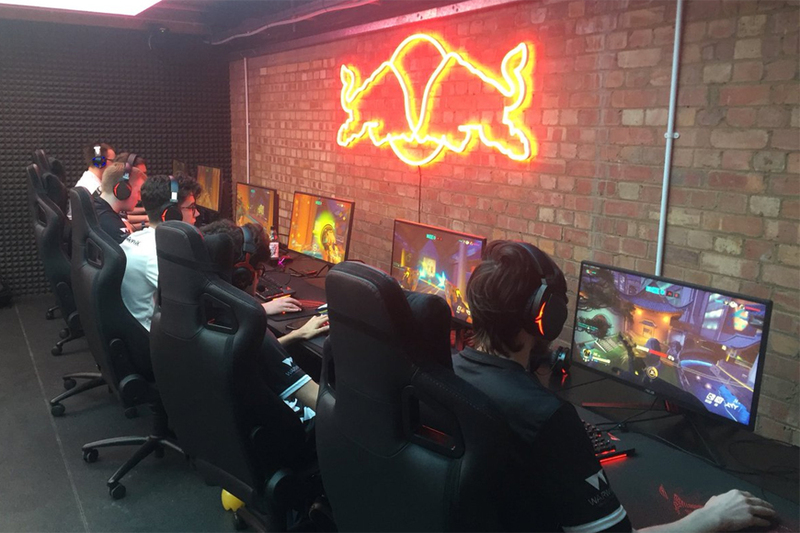 NSE was unveiled yesterday at an invitational event for student societies from across the UK at the recently opened Red Bull Gaming Sphere in London. NSE was created by Benchmark, a global group of companies that develop sport and entertainment initiatives, and is supported by British Universities & Colleges Sport (BUCS), the national governing body for higher education sport in the UK. It wouldn't reveal the specific amount to Esports News UK at a media briefing yesterday, but we understand that Benchmark's financial investment in NSE is significant. Up until now, the National University Esports League (NUEL) has been the main university esports tournament provider in the UK; the arrival of NSE will bring competition to this space. NSE say they're the 'first official university esports body in the UK' and will operate the 'first official university esports championship'. Check out an upcoming NSE interview with Esports News UK for their comments on how they will coexist with the NUEL. NSE will operate its own university esports championship, starting this October for the 2018/19 academic year and featuring seven different games, to be revealed later. Organisers say it will be among the first university competitions backed by a governing body. Alongside the championships, NSE will provide a programme of support for university societies, as well as its own digital community platform. Esports News UK understands this NSE platform will act as a university esports hub, containing information such as players, teams and more, similar to Liquipedia. What are NSE's wider goals? In a statement, NSE said: "By working with student organisations and game publishers, and with BUCS to leverage their knowledge, relationships and infrastructure across the higher education sector, NSE aims to raise the profile of university esports and create the best university esports experience worldwide. "NSE's goal will be to build the community and to enrich and support the student experience at universities. By partnering with BUCS, NSE will also look to bring the higher education sector and the esports industry together to recognise the exceptional talent of student leaders in the esports and gaming space." The two bodies, which bring together university infrastructure and commercial expertise, recognised the unique nature of competitive gaming and are joined by an independent team of esports specialists with experience of the university space who will lead NSE. NSE has a full-time core team of three people: Executive director Jonathan Tilbury, Operations manager Niall "Nolly" Hayward, and Christopher "Hench" Henshaw, who will be looking after tournaments. The latter two previously worked for the NUEL, while Jon Tilbury moves from GAME/Multiplay, where he worked as strategy manager. Jon is now also head of esports at Benchmark Sport International. NSE will work with student societies and university talent to run esports events, and has a budget set aside for travel/accomodation costs, and for hiring venues and outside talent. As previously stated, NSE is backed by BUCS and Benchmark. NSE will be incubated inside Benchmark, where it be able to take advantage of the group's network of connections (Benchmark is the group parent company of five organisations working with more than 175 partners and clients globally). BUCS' league programme currently consists of over 6,000 teams entered in 900 leagues, and over 140 championship events every year, putting NSE in good stead. Jonathan Tilbury, executive director of National Student Esports, commented: "Esports is already one of the largest competitive activities on campus but largely goes under the radar. "Most major universities have an active society and participation in university competitions eclipses all other national esports competitions. Over the next few months we'll be working with societies to make sure NSE is shaped according to their needs." Mo Fadl, head of UK esports for Riot Games, added: "It's my ambition to build the strongest esports scene and community in Europe and to push the UK scene on an international level. "The more opportunities we can offer to students, the stronger our talent pool will become. As an industry, it's vital to elevate all levels of competitive players to help strengthen the ecosystem and widen the pool of professional players of the future." Vince Mayne, BUCS CEO, said: "The passion and commitment of the university esports community is outstanding and we believe it deserves further recognition and support. "Our experience stems from university sport and we are aware that esports does not need to be defined in this way. This is why we've partnered with experts in their field and why NSE will exist as a separate entity. It's important that the community is listened to and that we provide a platform to unite and support students around the UK like never before."